How would the world’s most well-known story, the source of countless millions of songs and little wooden figurines have changed if Joseph had not been present? A sixteen-year-old girl in a nondescript Middle Eastern village is months from her wedding day. She is currently engaged to marry an older man with an established carpentry business. He is not wealthy, but he can provide her with a home and a future. He says he loves her and she believes that she will soon love him. This man has already made all the necessary arrangements for their marriage. He has spoken with her father, agreed on the marriage price, and is now preparing their home. The period between the agreement and the consummation is called betrothal. For all intents and purposes, she is already married to him. Breaking a betrothal is the same as divorce. Though betrothal carries the legal responsibilities of marriage, there can be no consummation until after the marriage ceremony. She must remain sexually pure until her wedding day and her fiancée has the right to demand proof of her virginity before the ceremony. Herein lies the problem. She is pregnant, and her fiancée is not the father. While she can hide the growing child within her for a short time, her wedding day is too far away to keep it a secret from her fiancée or to convince him that it is the result of their wedding night. Once he finds out, he has the legal right to take her to court for adultery, a charge punishable by stoning. Even if he were to simply divorce her quietly to spare her the death penalty, an act that would be more than any woman in her situation could expect, she would likely be rejected by her family. Becoming pregnant out of wedlock meant losing all respect in the village. No other man would marry her and bring her shame into his home. No parent would risk condoning or excusing such immoral behavior. In her male-dominated society, a single woman with a child has few prospects. To make matters worse, her explanation for her pregnancy sounds insane. She has never slept with a man, maintaining her virginity. Yet she is pregnant. She is not sure what would sound crazier – the fact she is pregnant while still being a virgin or the fact that an angel came and spoke to her, saying that her child was the long-awaited Messiah. The One who was to save her people. This is, of course, the story of Mary and Joseph and the circumstances under which the birth of Christ came about. The angel, Gabriel, who God sent to Mary had told her not to be afraid, but it was hard not to fear what her pregnancy would mean for her family. For Joseph, her betrothed. For their future. One question remained: How would she tell Joseph? How could she get him to believe her? What would Christmas have looked like without Joseph? How would the world’s most well-known story, the source of countless millions of Christmas productions, songs, and little wooden figurines have changed if Joseph had not been present? It seems that most of the attention around Christmas centers on Mary and the baby Jesus. The mystery of the Creator of the universe becoming a baby and growing inside the womb of one His creations confounds the imagination. The song “Mary Did You Know?” has captivated millions because it draws attention to these powerful truths. Many other songs have been written about that night. Mary has quite a few, the shepherds get their mention, the wise men get a memorable tune in their honor, and even a little drummer boy (I still can’t find him in any of the gospels) gets a song about his time beside the manger. But it is harder to find songs about Joseph. Why is that? This week I saw a few Christmas cards that have depictions of Mary, baby Jesus, and even the three wise men, but no Joseph. Scripture tells us that Joseph was a good man and, upon discovering Mary’s pregnancy, wanted to “put her away quietly.” Though he had the legal right to accuse Mary of adultery, he loved her and did not want to see her put to death. Divorcing Mary, but not accusing her of adultery, would leave the source of her pregnancy a mystery. The villagers would likely speculate and gossip as to who the father could be, but Joseph would maintain his honor while also showing mercy to the one he had been prepared to marry. 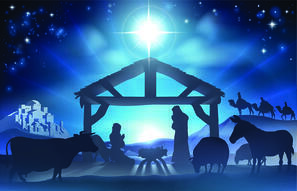 Joseph’s planned course of action would have forever altered the Christmas story and had far reaching implications on the fulfillment of messianic prophecy. In their culture, Mary would have been hard pressed to find support for herself and Jesus without a husband. The “scarlet letter” of her pregnancy and divorce would have followed her wherever she went. Prophecies said that Jesus was to be born in Bethlehem, Joseph’s hometown. Without Joseph, there was no reason for Mary to attend the census in Bethlehem. No reason for her to give birth in one of its stables. Prophets also predicted that the Messiah would travel to Egypt as a child. A single woman without protection and carrying a young boy would have hardly made the journey. Then there was Herod. If wise men from the East came searching out the Christ-child and spooked the despotic ruler, who would help protect her from his wrath? Some might argue here that God is God and would have made a way for Mary and Jesus to thrive without Joseph. Fair enough. But God did not. His actions reveal that His desire was for Joseph to be part of the story. For Jesus to have both a mother and father, and for Mary to have a husband. For Jesus to come into the world with a single mother would have fulfilled God’s purpose, but it would have violated his principles. Thus, the angel Gabriel did not stop at giving Mary a message of hope; he went and told Joseph as well. The Creator of marriage and family understood that the best environment for raising a child was within the shelter of a loving marriage. Even when the child was Jesus. So Jesus, the Son of God learned what it was to be a man from Joseph. When we rejoin the story at the start of Christ’s ministry, he is a carpenter— Joseph’s profession. No doubt, he spent countless hours with his dad in the shop learning the trade. Joseph would have explained how to discern the grain of the wood, how to make the cuts straight, how to fit the pieces together into something useful, something beautiful. Joseph would have carried Jesus on his shoulders, shown Him how to be gracious and compassionate. In John chapter 8, the Jewish leaders reacted to Christ’s rebuke of their hypocrisy by implying that he was an illegitimate son. While scripture does not say how the community responded to Joseph’s decision to marry his already pregnant fiancée, it is probably safe to assume that their reaction was not compassionate. 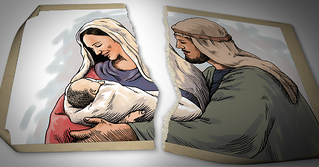 When Joseph married Mary and accepted Jesus as his son, he would have accepted the community’s probable accusations that he had committed fornication and that Jesus was his illegitimate child. For an honorable man like Joseph, such ridicule would have been difficult to bear. But Joseph bore it anyway. He did the right thing, no matter the personal cost. I think that this too was a lesson Jesus would have learned from Joseph. The importance of fatherhood has not changed. When Care Net surveyed women who have had abortions, we found that six out of ten cited the father of the child as the most important influence on their abortion decision. The angel Gabriel serves as the inspiration for our work. He did not stop at delivering the message of abundant life to Mary, but also delivered it to Joseph so that he could provide her with a home and help raise Jesus in a loving family. Of equal importance is the reality that God created this family as much as an example for us as he did to provide for His Son. 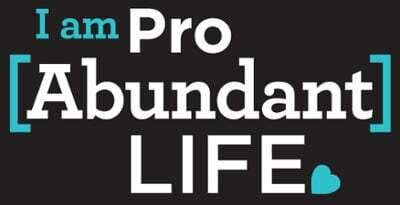 Therefore, as pro abundant life people, we believe that the best environment for raising children is the environment that God wanted for His own Son. An environment sustained by marriage. So this Christmas, I am going to make sure that Joseph gets his fair share of Yuletide attention, and I am going to thank God for empowering him with the message of life so that Mary and Jesus, in his humanity, would experience abundant life. I am also going to pray that God reveals ways that I, too, can share Gabriel’s message of hope with those I meet.